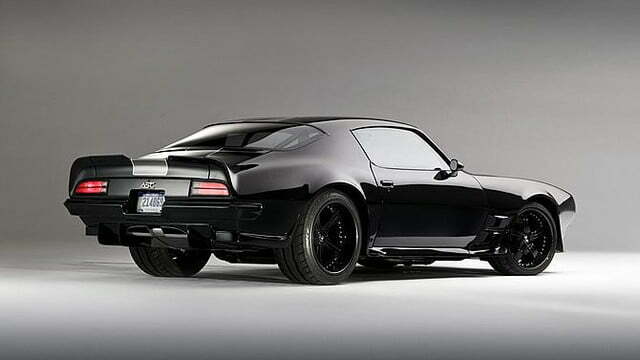 When Paul McCartney first wrote “Blackbird,” he probably imagined a sweeter tone than the one this thing makes, because the sound bellowed by this sinister Pontiac is anything but delicate. 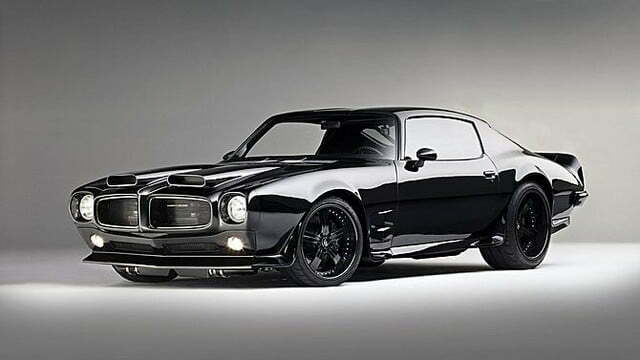 This 1970 restomod Firebird is blacker than the dead of night, has more power than a locomotive, and is currently running loose on the streets of Anywhere, U.S.A. According to Car and Driver, a lucky Windy City buyer recently picked up the 1200-horsepower ‘Bird at the Mecum Chicago Auction. The price? Just $87,000. That’s right, this blacked-out Pontiac is pushing the same power a Veyron for less money than it takes to replace the Bugatti’s rims and tires. 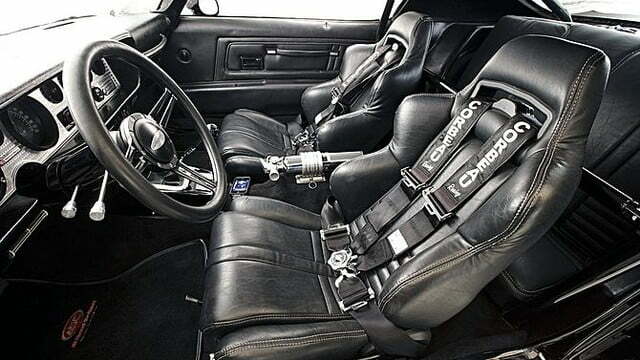 The massive output was achieved by boring out the Pontiac’s iron-blocked V8 to 480 cubic inches (7.8-liters), and fitting it with custom hydraulics, plumbing, and a high-flow respiratory system. 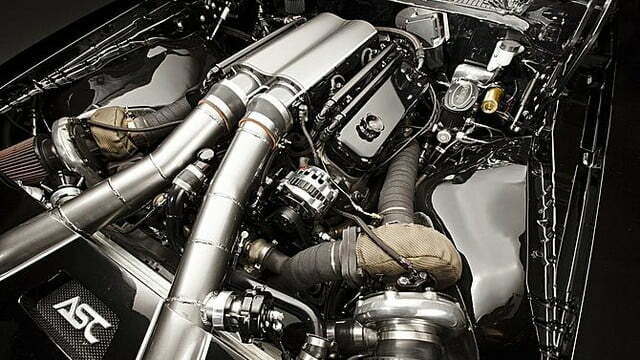 Then, two 66mm Bullseye turbos were fitted, with enormous intercoolers keeping everything frosty under the hood. Everybody loves smoky Dominic Toretto-style burnouts, but eventually, you have to get somewhere. To get its power to the ground effectively, the Firebird is equipped with a Rockland Tranzilla T56 six-speed manual and a twin-disc clutch. There’s also a Detroit TrueTrac limited-slip differential at work, along with new sway bars, coilovers, and a 3.55 12-bolt rear end to keep the body in check. Aesthetically, the car isn’t wildly different from the stock unit. 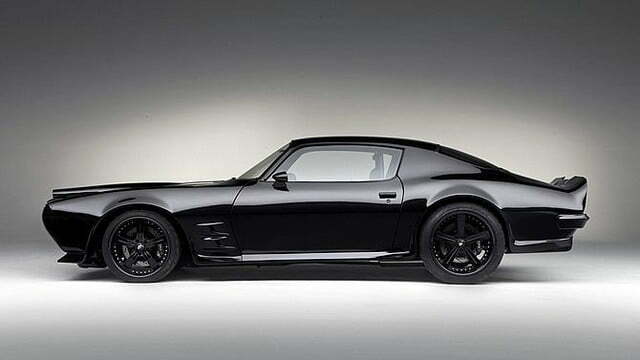 There’s a customized steel aero package and Forgiato Ritorno wheels outside, and in the cabin, only Corbeau racing seats and five-point harnesses differentiate it from a factory 1970 Firebird. To an untrained onlooker, this might as well be a lightly tweaked weekend warrior. My, how wrong they would be.